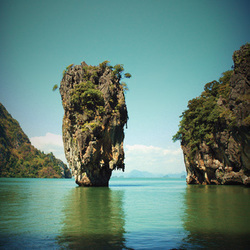 If you are looking at good International Destination at Not so High price then Thailand is the best bet. Destinations like Bangkok, Pattaya, Phuket, Ko samui are the most popular amongst tourists. Return Airport Transfers -BKK APT- BKK HTL - PTY HTL - BKK APT on Seat in Coach basis. Ours is a travel and tour agency, that offers complete travel solutions to our clients. We offer customized holiday tour packages that not only makes the holiday carefree and a memorable moment of life, but also suit the budget of the clients.